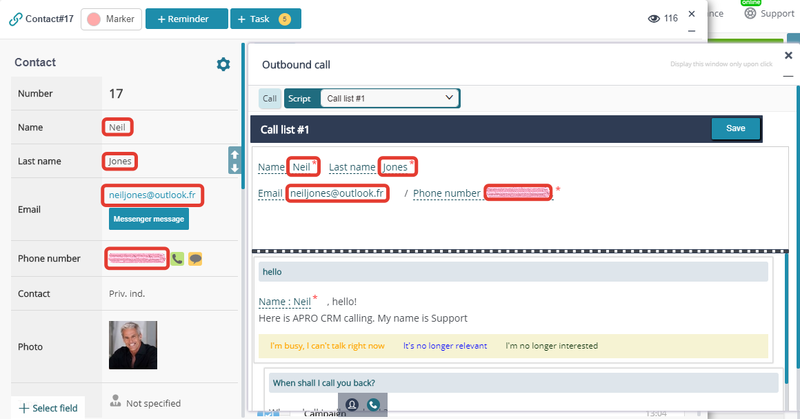 Calls from APRO CRM can be made following a ready-made logical scenario (script) comprising texts of conversations, questions and responses to objections. 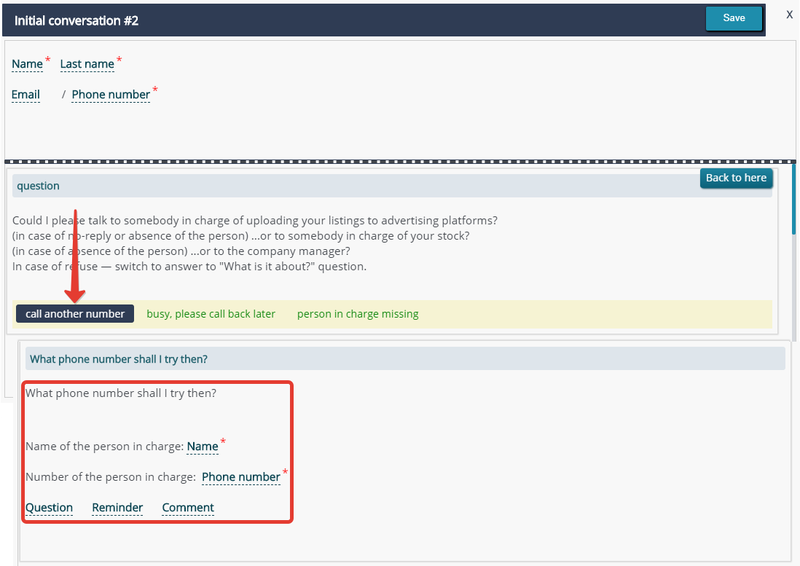 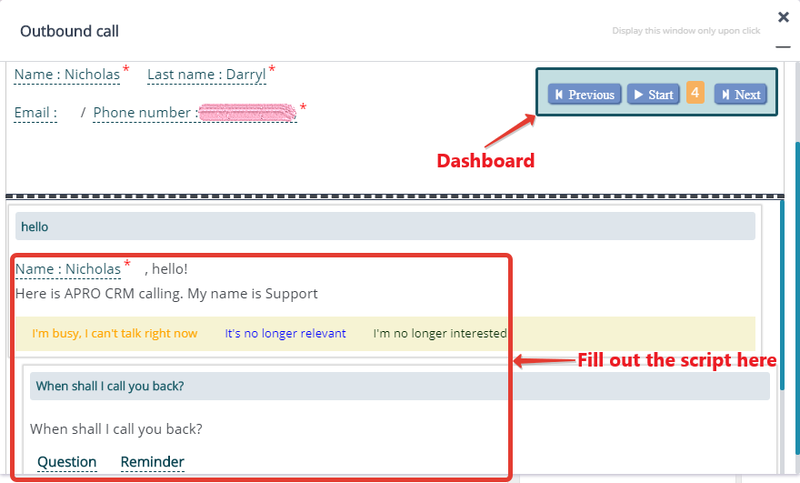 In addition, operators can fill out the fields in any CRM element profile right from the script interface. 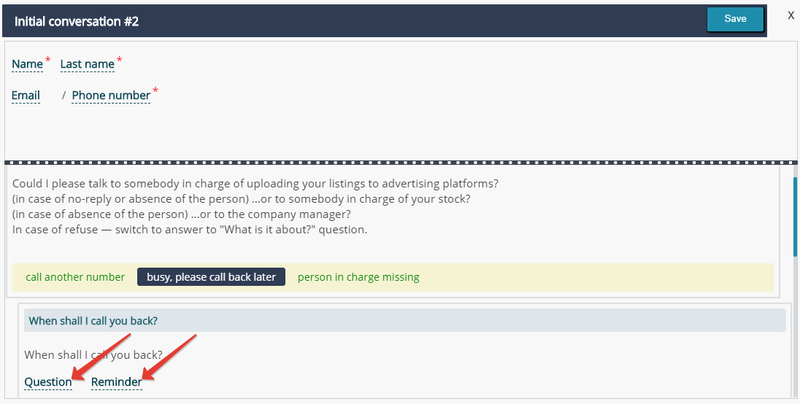 When the call is over, the call log is automatically saved. 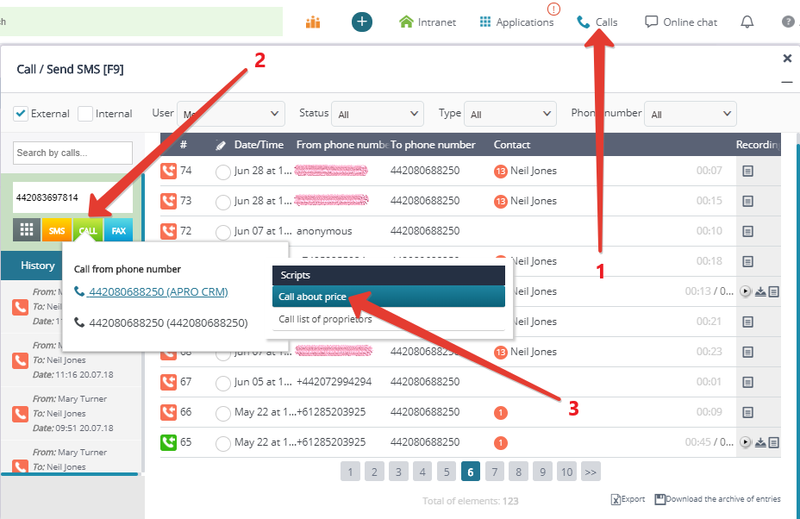 You can make calls following lists of contacts, one by one. 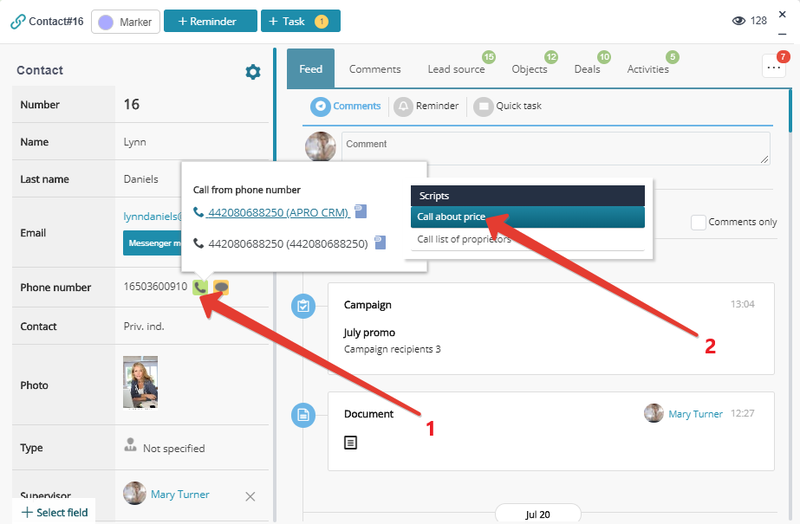 Log the call data and switch to the next contact using the task bar.